29. 7. 18 - WRWS/NRHA - - NRHA Announces Hall of Fame Inductees. Dun It For Chex (© John Brasseaux)Dun It For Chex, by NRHA Hall of Fame Inductee and Six Million Dollar Sire Hollywood Dun It and out of Silver N Blue Chex, is currently owned by Cardinal Hill Training Center, LLC. The exceptional mare has proven herself by producing some of today’s most recognizable reining horses. Although her career did not take her to the show pen, her offspring have earned more than $930,000 in NRHA competition, placing her third on the NRHA leading dams list. The 2018 inductees and soon-to-be-announced Lifetime Achievement Award recipient will be honored at Sliders’ Night Out on November 28th at State Fair Park in Oklahoma City during the NRHA Futurity. RHF is creating a special night recognizing new and previous NRHA Hall of Fame inductees. Beirat Reining benennt Reiter und Pferde für Weltreiterspiele. 27. 7. 18 - WJ - ApHC approved International Dutch Championship 2018 in Limburg (NED). Weltreiterspiele in Tryon: Deutsche Longlist Reining steht. Der Beirat Reining des Deutschen Olympiade-Komitees für Reiterei (DOKR) hat die Reiner benannt, die auf der Longlist für die Weltreiterspiele vom 11. bis 23. September in Tryon stehen. Maria Till (Leipzig) mit „ARC Captain“. „Ich glaube, das ist die beste Longlist, die wir je hatten“, sagt Bundestrainer Nico Hörmann. „Wir haben sehr viele gute Reiter und Pferde, und ich bin froh, dass wir in diesem Jahr so viel Qualität haben.“ Welche vier Reiter dann bei den Weltreiterspielen vom 11. bis 23. September an den Start gehen, entscheidet der Bundestrainer in Absprache mit dem Beirat Reining Anfang August. Bei den Weltreiterspielen starten die Reiner am Mittwoch, 12. September, mit dem Mannschaftswettbewerb. Titelverteidiger ist das Team aus Belgien, die deutschen Reiner holten 2016 Silber. Das Einzelfinale findet dann in der Nacht von Samstag auf Sonntag statt. 27. 7. 18 - WRWS/NRHA - Rik Stoltennkamp and „Jaylo Chic Olena“ are the 2018 NRHA European Affiliate Rookie Level 1 Champions. Make sure to follow the action live on www.nrhaeuropeanderby.com . 25. 7. 18 - WRWS/NRHA - NRHA European Derby Open action fills the Ostbayernhalle in Kreuth. Over 35 countries worldwide watched the National Reining Horse Association (NRHA) European Derby Open qualifier thanks to the live stream offered by MP-Video Westernsport TV. They had the chance to see Shiners Voodoo (Shiners Voodoo Dr x BR China Rose) post the highest score in the $56,665-added* Level (L)4 division with multiple past NRHA Open World Champion Ann Fonck in the saddle. Close to 480 horses made their way to Kreuth, Germany, where the 2018 NRHA European Derby, open to 5-, 6-, 7- and 8-year-old horses, alongside the NRHA European Affiliate Championship, is being held. Since 2009, foals have been required to nominate to the NRHA Nomination Program to be eligible to enter both the NRHA European Derby and Futurity to win added money created by the program and to earn nominator incentives. Lena Alberti auf „Asso Del Cielo“ (© Thomas Hautmann)In the $4,969-added * L1 division, Lena Alberti of Germany rode her own 8-year-old gelding Asso Del Cielo (Ricochet Rooster x Jackie Cody Pine) to the lead after scoring a 213. 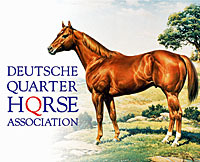 The inaugural edition of the National Reining Horse Association (NRHA) European Affiliate Championship was held in Egna Ora, Italy, in 2002. Every two years the prestigious event has changed location and, for the first time in history, it is held in Kreuth, Germany, alongside the 2018 NRHA European Derby. NRHA Million Dollar Rider Bernard Fonck rode „What A Wave“ (© Thomas Hautmann)The Ostbayernhalle arena opened its doors to competition today with the first go round, first section of the NRHA European Non Pro Derby and closed the day by crowning the NRHA European Affiliate Open Champions. NRHA Million Dollar Rider Bernard Fonck rode What A Wave (Tidal Wave Jac x What A Sunrise) to yet another championship: The duo clinched the NRHA Open World Championship for three consecutive years in a row (2015-2017). The NRHA professional, who boasts over $1,837.000 NRHA Lifetime Earnings (LTE), is looking forward to showing the talented stallion in the upcoming FEI World Equestrian Games™ in Tryon for representing his home country, Belgium. “Today I wanted to see how he would react to my requests and, as usual, he delivered,” he said after posting a 225 score. The champions received an NRHA Corporate Partner Silver Spurs Saddles saddle, an NRHA Lawson trophy, a pair of NRHA Corporate Partner Classic Equine splint boots and an NRHA Corporate Partner Montana Silver Smiths buckle. The second step of the podium was conquered by NRHA Professional Cira Baeck riding Wimpys Cute Tune (Wimpys Little Step x Gwyneth) for owner CS Ranch Management SA. The pair scored a 219.5. The pair received a pair of bell boots offered by NRHA Corporate Partner Classic Equine and a pair of spurs offered by NRHA Corporate Partner Montana Silversmiths. With a 217.5, sharing the third step of the podium were NRHA Professional Ann Fonck riding Gina De Pauw’s Gunnerlicious (Gunner x Mifs Doll) and NRHA Professional Morey Fisk aboard Chicks Smokingun (Gunner x Dun It By Chick). They each received a pair of stirrups offered by the National Reining Horse Association and an NRHA Plaque. Claiming reserve honors in the NRHA Open ancillary class with a 223.5 were past NRHA Non Pro World Champions Gina Schumacher and her Gotta Nifty Gun (Dun It Gotta Gun x Custom Nifty Nic) owned by CS Ranch Management SA. On Wednesday, July 25, the NRHA European Rookie Level 1 and 2 Champions will be crowned. National Reining Horse Association (NRHA) Open World Champion Ann Fonck and Shiners Voodoo boast, among others, the 2017 NRHA European Level (L)4 Open Futurity Championship. Fourth to enter in the pen in the first go, first section of the $56.665-added* NRHA Level (L)4 European Open Derby, the duo posted a 222.5 score which stayed on top until the last horse-rider-combination of the first section 75 horses later. The 5-year-old stallion by Shiners Voodoo Dr out of BR China Rose, owned by Kimberly Wegner, was bred by Patricia Blakeney Creson and was nominated by Reto Erdin. 23. 7. 18 - WRWS/FN - Dressur: Longlist für Weltreiterspiele benannt. Jessica von Bredow-Werndl (Aubenhausen) mit „TSF Dalera BB“ und „Zaire-E“, Helen Langehanenberg (Billerbeck) mit „Damsey FRH“, Fabienne Müller-Lütkemeier (Paderborn) mit „Fabregaz“, Sönke Rothenberger (Bad Homburg) mit „Cosmo“, Dorothee Schneider (Framersheim) mit „Sammy Davis jr“. und „Showtime FRH“, Benjamin Werndl (Aubenhausen) mit „Daily Mirror“ sowie Isabell Werth (Rheinberg) mit „Bella Rose“, „Emilio“ und „Weihegold OLD“.